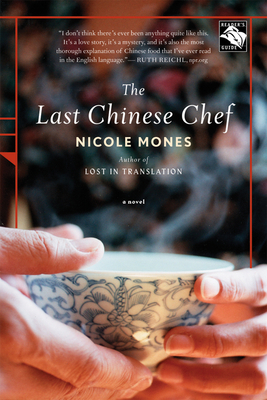 In her satisfying, sensual third novel, Nicole Mones takes readers inside the hidden world of elite cuisine in modern China through the story of an American food writer in Beijing. When recently widowed Maggie McElroy is called to China to settle a claim against her late husband’s estate, she is blindsided by the discovery that he may have led a double life. Since work is all that will keep her sane, her magazine editor assigns her to profile Sam, a half-Chinese American who is the last in a line of gifted chefs tracing back to the imperial palace. As she watches Sam gear up for China’s Olympic culinary competition by planning the banquet of a lifetime, she begins to see past the cuisine’s artistry to glimpse its coherent expression of Chinese civilization. It is here, amid lessons of tradition, obligation, and human connection that she finds the secret ingredient that may yet heal her heart.